Allows a bar cramp of almost any length to be made using 25mm battens. Made from malleable iron, with handle made from steel for hard wear resistance. Cramp Head Set 40mm is rated 4.0 out of 5 by 2. Rated 3 out of 5 by HiDefJeff from Not Irwin cramp heads Be aware that these are not the Irwin cramp heads. I'd made that assumption as they are the same price but these are silverline ones. Not the same quality and as they are silverline I would have thought they'd be cheaper. I have nothing against silverline for certain things but as a carpenter I need these to last and I have my doubts. Will buy from elsewhere next time, somewhere the descriptions are a little better. Rated 5 out of 5 by Gary1956 from Great buy should of got these ages ago. Bought these to clamp garden bench I recently made. 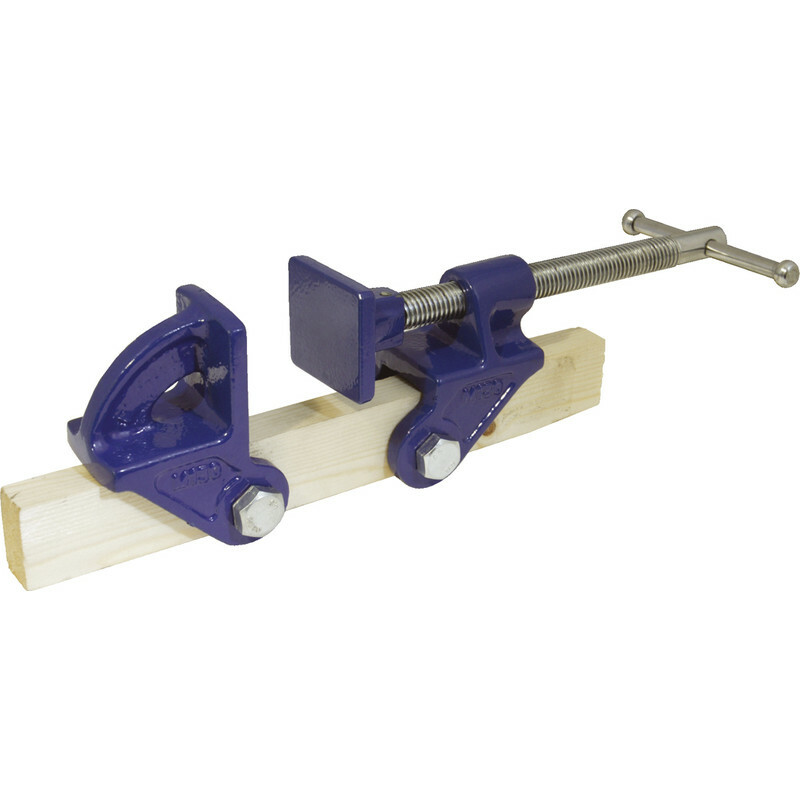 Compared to price of large clamps and versatility of them great buy.